I did it, I ran a sub 30 5k! It was a race in my backyard, so that makes it even better! 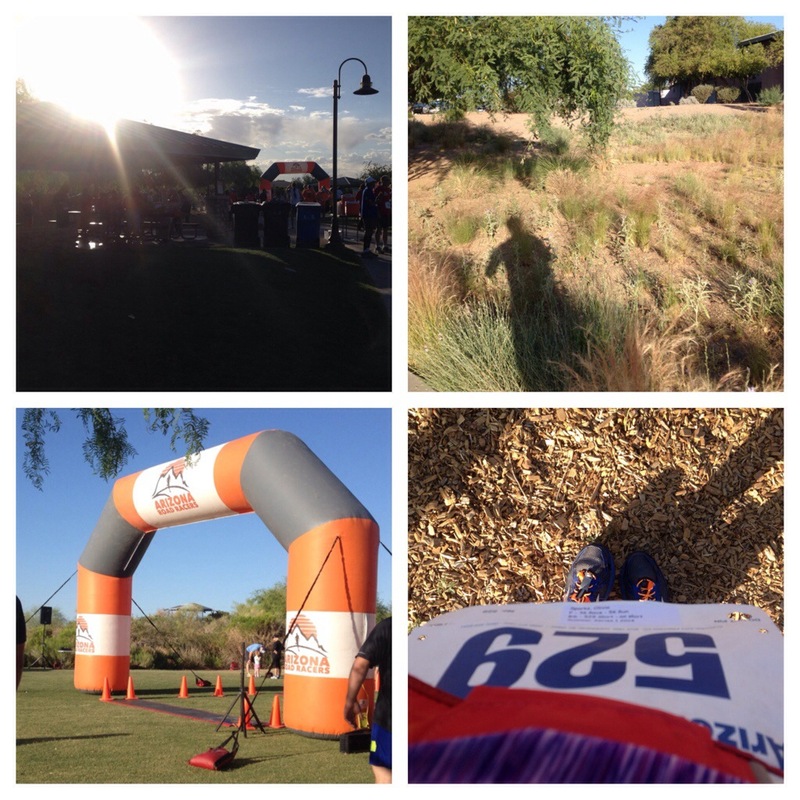 The first race in the Arizona Road Racer Summer Series #1 was held at the Riparian Preserve in Gilbert. I made sure to arrive early so that I wouldn’t have any issues parking and also so I would have plenty of time to warm up. I picked up my bib and started my warm up. I found some of the gals from run club, so we did another warm up. They are much faster than I, so we ended up separating and running most of the course. I’m glad I ran a little of the course,because it was a little confusing in the park. I think our warm up ended up being about a mile. I made it back to the start line just in time! The race is a wave start, starting with the 6:00/mi and under group. I was towards the back in the 9:00/mi group. Once we hit the second mile, I was able to pick up the pace just a little more. After a few minutes, I checked my watch and I saw that we were just at 22 min. I knew that I could pull out all the stops for the last 8 min! And then only 5 min to the finish. I didn’t see a mile marker for the 3rd mile, but I knew that the finish was just around the corner, so I kicked it up a notch. 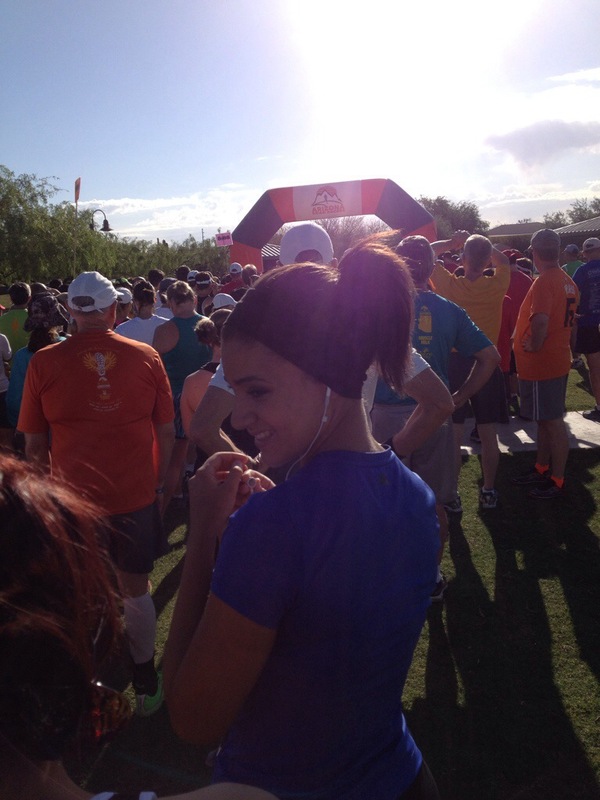 If you were at the race, you could hear me coming up to the finish line with my signature “whoo-hoo” woot. 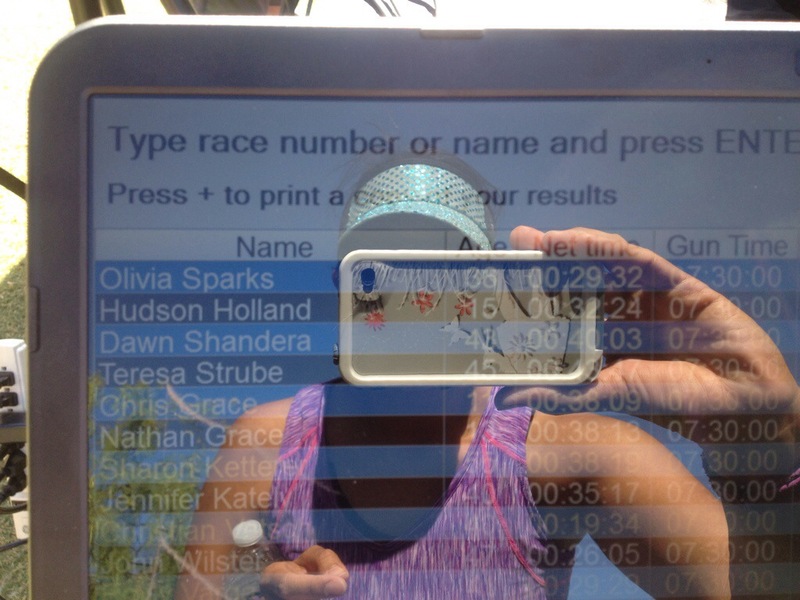 I was ecstatic to see that I was crossing the finish line under 30! 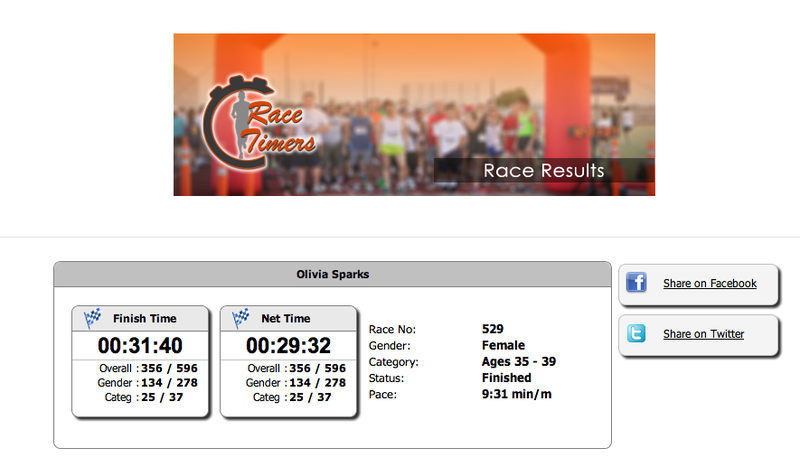 Official time has me at 29:32! What I loved about this race is the span of ages participating in this race. There were a number of high school groups that participated. I saw shirts for Maryvale and Dysart High School track teams. A couple of awesome gray-haired marathon and ultra marathon runners paced me at the beginning of the race. Arizona Road Racers had great fuel at the end of the race: bananas, watermelon, bagels, peanut butter, and cookies. To celebrate my big finish, I bought a race shirt. It’s a red tech shirt and feels super comfy! A great race to start off the Memorial Day weekend. 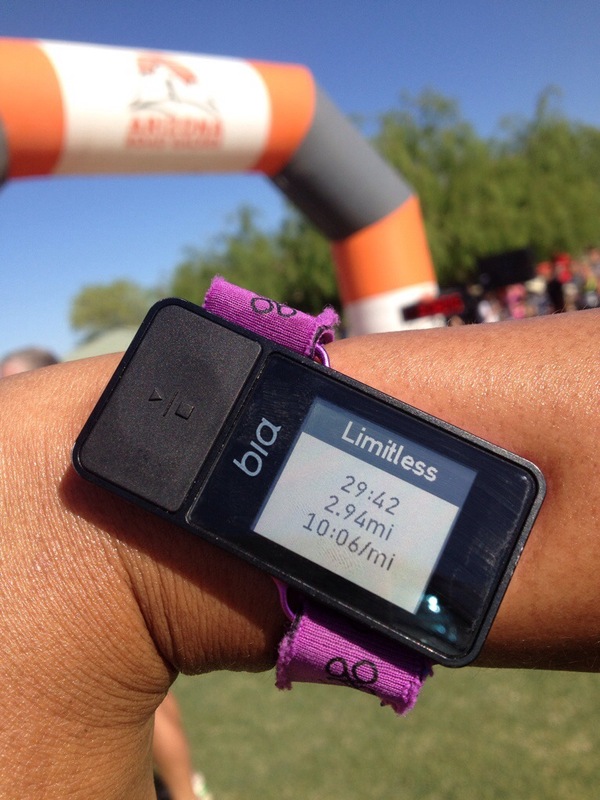 Posted in Exercise, RacesTagged 5k, Arizona Road Racers, goal, race, sub30Bookmark the permalink.